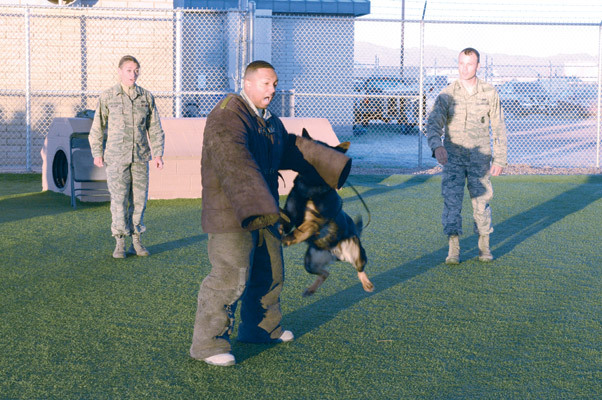 Senior Airman Eric Burrell, 56th Civil Engineer Squadron electrician, is bitten by Maxo, 56th SFS MWD, during a demonstration for ALS students. 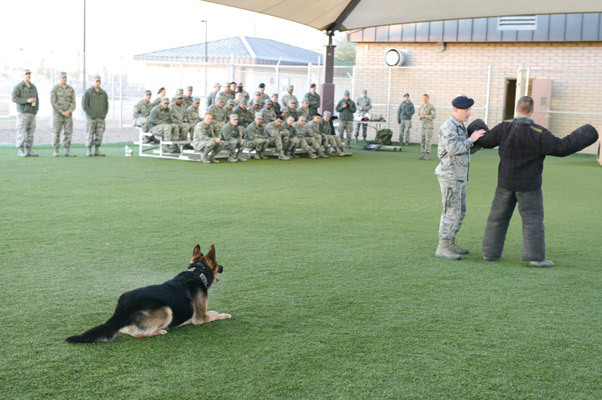 Senior Airman Sean McFadden, 56th SFS Military Working Dog handler, searches a suspect while under watch from Maxo, 56th SFS MWD, during a demonstration for students attending Airman Leadership School Dec. 15 at Luke Air Force Base. 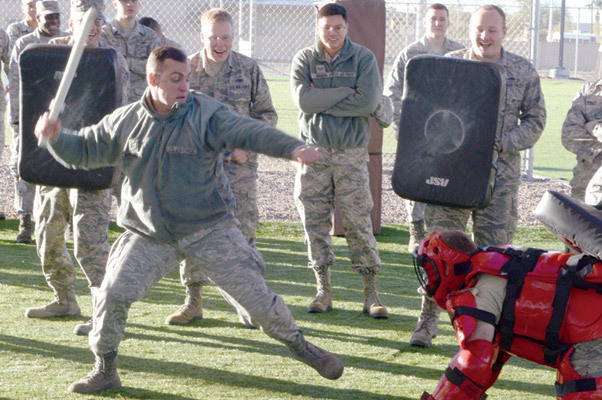 Senior Airman Maroun Arnaout, 56th Equipment Maintenance Squadron low observable technician, participates in baton training during the immersion. 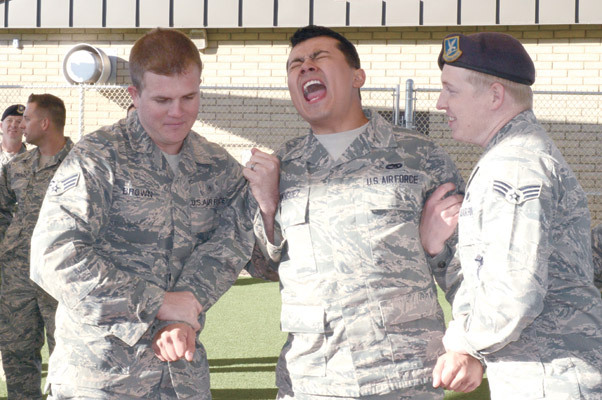 Senior Airman Rogelio Dominguez, 56th Component Maintenance Squadron electrical environmental specialist, gets tased during the ALS immersion program with the 56th SFS. 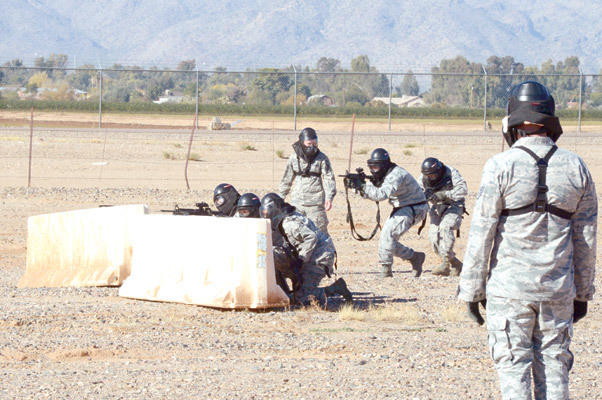 Airmen from the 56th Fighter Wing Airman Leadership School participate in a shoot, move and communicate exercise Dec. 15 during an immersion with the 56th Security Forces Squadron at Luke Air Force Base.